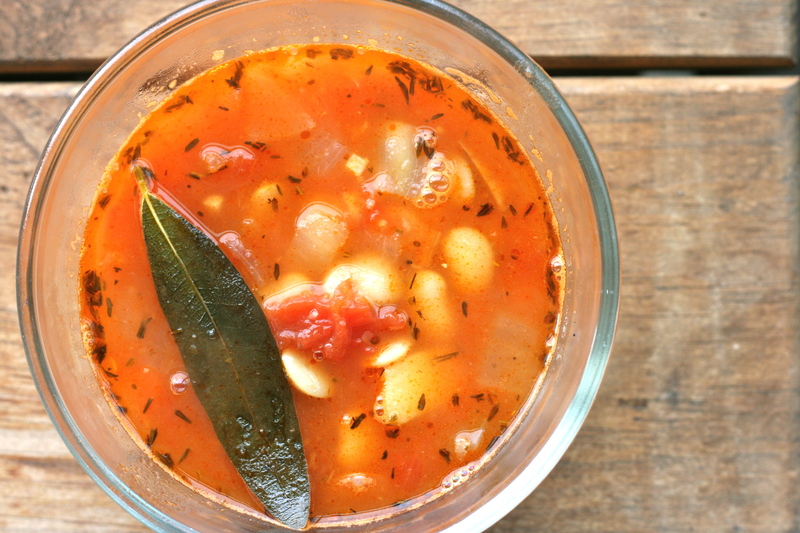 Easy White Bean Soup. 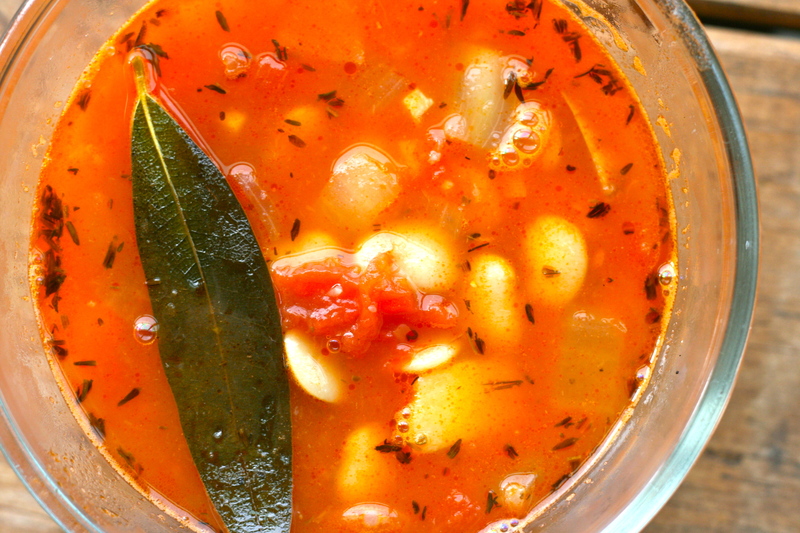 It’s everything bean soup should be: Warm, delicious, and full of beans. Today I bring you another soup, my interweb friends. Our fall here in Seattle has been insanely good until literally November 1st, when one wicked wind storm blew all the leaves off the trees and brought back our rain. Which isn’t a bad thing. It’s kind of nice to be all cozy like in the house, wearing the crap out of some sweaters, and simmering a little something on the stove. In fact I’ve got a big pot of chai base bubbling away right now and it smells epic. That, however, is not the recipe I want to share with you today. Last night was a rainy, bone-chilling kind of night, and heading to the store sounded like pretty much the worst idea ever. As such, this here soup was born. I don’t have more photos of prep because I honestly didn’t think it would be so good. 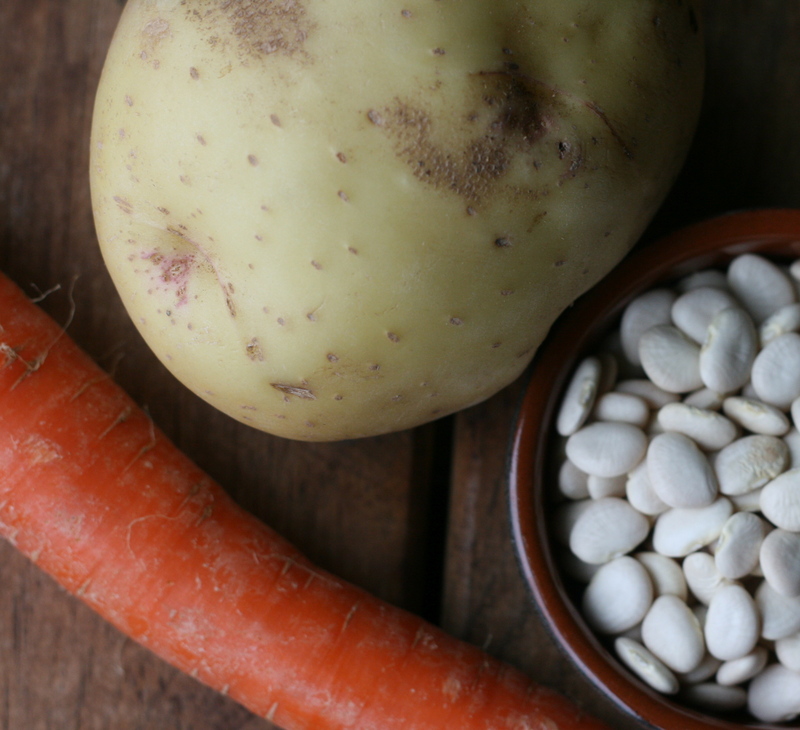 Sweet baby lima beans are highly underrated (or lowly underrated). They’ve replaced great northern beans as my favorite white beans. WHAT?! YOU’RE SHOCKED! Just imagine how shocked I was when I realized that I actually spend enough time thinking about white beans to EVEN HAVE a displaced favorite. Yeah. 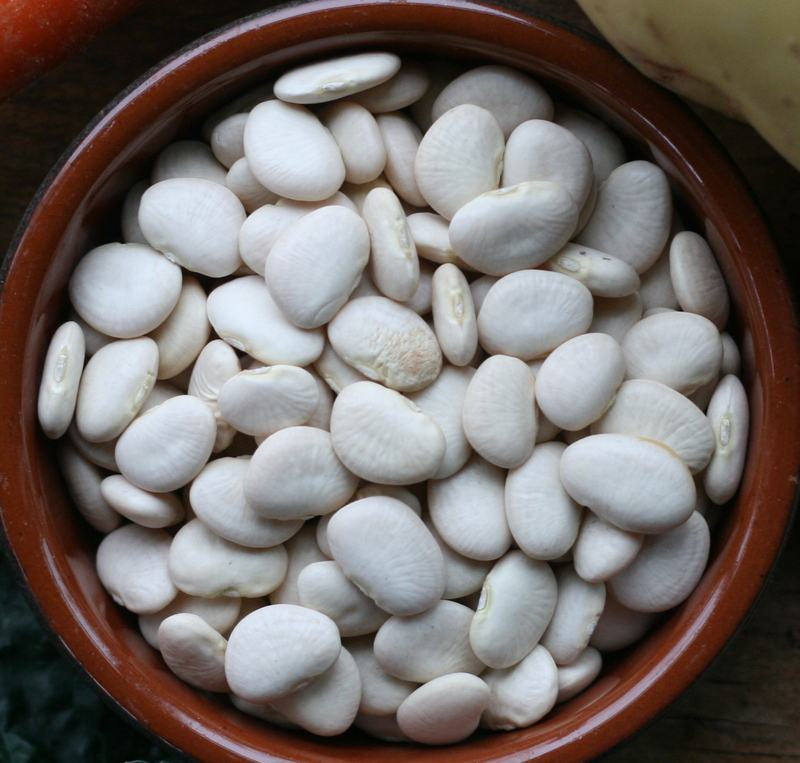 If soaking and cooking beans, soak your beans in water, making sure they’re covered by at least 1 inch. Drain and rinse, then place in a pot with enough water to cover them by 3 inches. 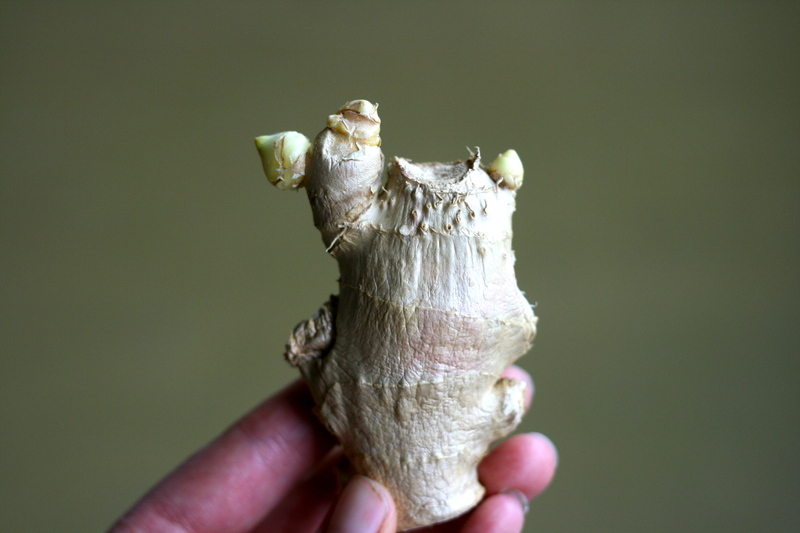 Bring to boil, then reduce to simmer and cook until tender, making sure not to cook to mush. Ain’t nobody got time for mush. Place olive oil, onion, carrot, garlic, and ginger in a soup pot and saute until tender and slightly brown. Add potato and saute for another 5 minutes, adding some water to deglaze the pot as necessary. Once soft, add your can of tomatoes and water and bring to boil. Reduce to simmer and add beans, herbs, and bay leaves. Simmer for about 10 minutes (or longer if needed). The longer it simmers, the more the flavors will integrate. Add salt and pepper to taste. 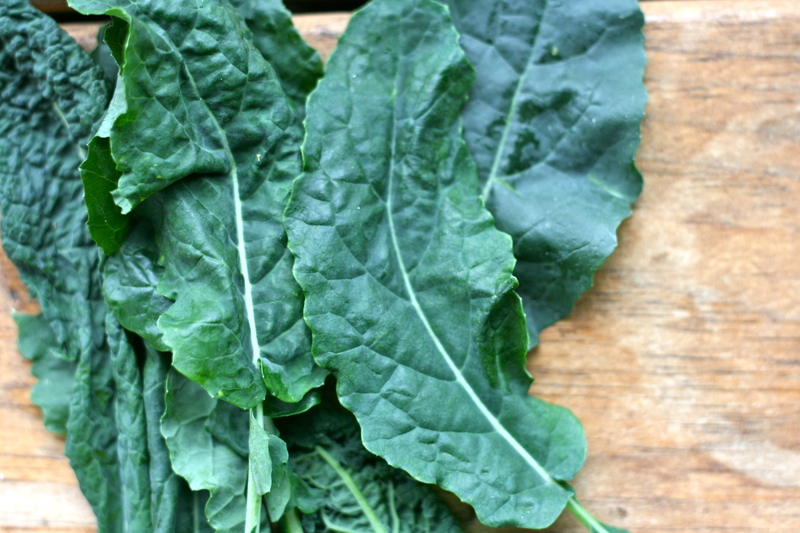 When ready to serve, place chopped kale in the bottom of a bowl and ladle on over some of your hot, beany soup. Enjoy and stay warm! This entry was posted in entree, Gluten-free, Soup, Vegan, Vegetarian and tagged beans, carrot, clean eating, easy, gluten-free, kale, lima, onion, potato, soup, thyme, vegan by Manders. Bookmark the permalink. I make a big pot of soup every weekend……even though I live in sunny California. This one will be on the stove on Sunday just after i grab some fresh organic kale from the garden.